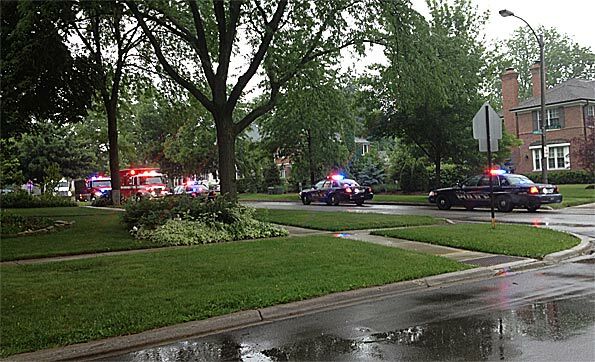 Arlington Heights police and firefighter/paramedics responded about 6:19 PM Tuesday to a medical emergency in the block of 400 East Euclid Avenue Arlington Heights, IL. Police and firefighter/paramedics responded to a medical emergency at a residence on Euclid Avenue between Haddow Avenue and Belmont Avenue. Traffic was blocked in both directions until about 6:40 p.m.
At least five police officers responded to the incident, but there is no threat in the neighborhood. Euclid Avenue blocked for a medical emergency about 20 minutes on Tuesday afternoon.